The U.S. Fish and Wildlife Service works with others to conserve, protect, and enhance fish, wildlife, plants, and their habitats for the continuing benefit of the American people and is the home of Nihoku. Kilauea Point National Wildlife Refuge was established in 1985 to preserve and enhance seabird nesting colonies. Pacific Rim Conservation (PRC) is a non-profit organization who coordinates the Nihoku Ecosystem Restoration Project with all partners. PRC conserves and restores native species throughout Hawaii and the Pacific. The Kauaʻi Endangered Seabird Recovery Project is a joint project between the Hawaii Division of Land and Natural Resources and the Pacific Co-operative Studies Unit of the University of Hawaii. KESRP coordinates the montane habitat management and research of the seabirds being brought to Nihoku. The project focuses primarily on conservation and research of Kauaʻi's three endangered seabirds– Newell's Shearwater, Hawaiian Petrel and Band-rumped Storm-Petrel. American Bird Conservancy is the Western Hemisphere's bird conservation specialist and provides funding and technical support for the project. ABC’s focus is on efficiency and working in partnership, to take on the toughest problems facing birds today, innovating and building on sound science to halt extinctions, protect habitats, eliminate threats, and build capacity for bird conservation. Chartered by Congress in 1984, the National Fish and Wildlife Foundation (NFWF) protects and restores the nation's fish, wildlife, plants and habitats and provides funding support for Nihoku. Working with federal, corporate and individual partners, NFWF has funded more than 4,000 organizations and committed more than $2.9 billion to conservation projects. The Hawaiʻi Department of Land and Natural Resources (DLNR) mission to enhance, protect, conserve and manage Hawaii's unique and limited natural, cultural and historic resources held in public trust for current and future generations of the people of Hawaii nei, and its visitors, in partnership with others from the public and private sectors. With assistance from DLNR's Division of Forestry and Wildlife(DOFAW) and the Kauai Natural Area Reserves System staff, (with funding from the Kaua`i Island Utility Cooperative), their role is to manage and protect the breeding colonies for the seabirds being translocated to Nihoku. 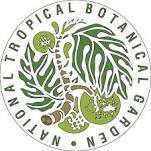 The National Tropical Botanical Garden is a Hawaii-based not-for-profit institution dedicated to tropical plant research, conservation, and education. NTBG assists with habitat restoration at Nihoku and it’s Upper Limahuli Preserve serves as a source colony from which the project translocates seabirds. The David and Lucille Packard Foundation Marine Birds Program focuses on enhancing ocean biodiversity by protecting seabirds and shorebirds and their habitats around the world. The Foundation provides funding support for this project.